James Murray to speak at London Build on October 23rd 2018. 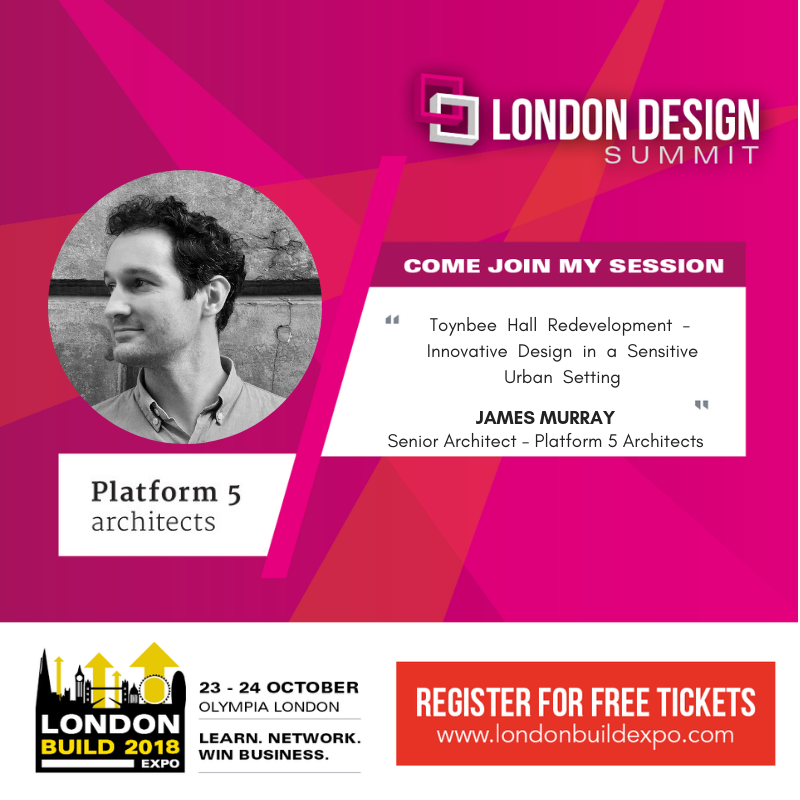 James Murray, Senior Architect at Platform 5 Architects is speaking at London Build (October 23rd & 24th, Olympia London), the leading and largest construction and design show for London. London Build features: 240+ speakers across 8 conference theatres (Future London, London Design, BIM & Digital Construction, Sustainability, Interior & Fit-out, Innovation, Skills Hub and Fire Safety), 220+ CPD knowledge sessions, 300+ exhibitors across 9 exhibition zones and a range of exclusive free-to-attend networking events including: Constructing Excellence Breakfast, Constructionline Meet the Buyer, Women in Construction Morning Tea, BIM Open Mic, an Oktoberfest beer festival, the Festival of Construction, prize giveaways, celebrity guests and much more.